Making a major decision takes time. We cannot help you ruminate but we can help direct you to facts and research that will help you through this process. It is the opinion of this writer that one must take time to consider their budget. Lenders and financial experts have differing opinions but usually the percentage of income to house payment can be 25-35%. Take the time to study your expenditures so you can find the size house payment you would be comfortable making. Proceed then to a lender. If you are confident in your budget analysis they can get your pre-qualified for the amount needed and help you find a price range. If you are less than confident in your budget analysis most local lenders (see blog ‘Detour’ above) can help you come to a decision about payment size then proceed to pre-qualification. Upon getting pre-qualified call a reputable real estate agency. This writer is confident that Stovall Realtors is the best place to start. When you find an agent you are comfortable with (read previous blogs for suggestions in this consideration) share with them your budget and begin to make your wish list for your future home. Wish lists are just that, wishes. Many can come true, rarely do all. When I was an active agent clients would many times come in and say, we want this neighborhood only, or we want only a new house thus limiting the homes with their main criteria. Some were flexible enough to trust me as an agent to see a home that may suit them but was in a similar neighborhood, not their preferred. Some would get offended and feel I wasn’t listening to their wishes, which wasn’t the case. Agents study the market and want to help you find a home that will make as many wishes on your list come true as possible. Talk to them, tell them what you want but trust them to want to help you. I agree with you in that it is important to trust your agent after you have told them what type of house you are looking for. It makes sense to think that if you have chosen an agent you can trust then you would let them do their research and create a list of possible houses that match your wants and needs. We are thinking about entering the market to buy a house but want to make sure we understand the process first, so I’m glad I found your post. I agree that buying a house is a major undertaking and the budget should be considered. My sister and her husband want to have their own space because they will be having a baby. My mom suggested buying a house and shared this article with them. It says that once they are confident with their budget, the lender can get them pre-qualified for the amount needed and help them find a price range. Thanks for the tips for buying a home. I like how you said to hire an agent and then trust them! We want to hire a realtor because I don’t trust myself, so I won’t have a problem trusting them. Thanks for suggesting that we fully trust the agent we end up hiring since they have studied the market and want to help you. 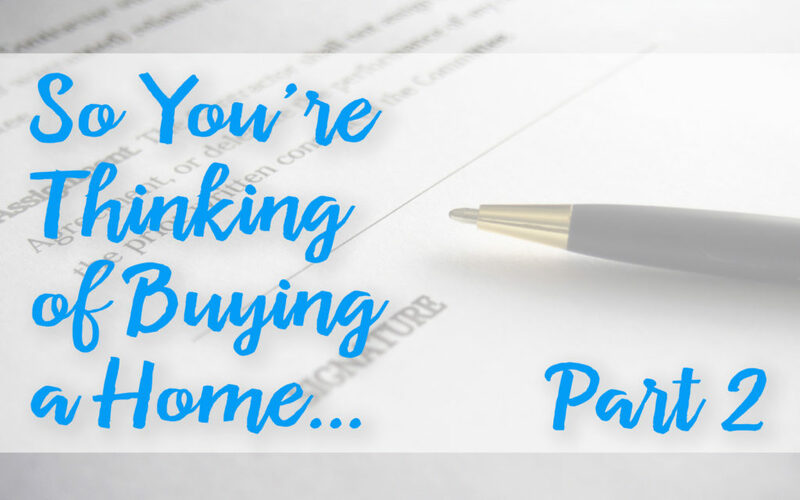 My husband and I are in need of a new piece of real estate for our family, so we are wondering how to go about the home-buying process. We will be sure to trust the real estate agent we end up hiring since they only want to help us. Your advice to trust your agent and listen to them would be a great way to make sure you get a home that suits you. When choosing one, you’d probably want to research the different options in order to find one that you trust and can communicate well with. Good communication with your agent could help you understand why they recommend certain homes, even if you were leaning towards a different one, which could help you get the best one for your lifestyle. My wife and I are wanting to buy our first home later this year, so thanks for sharing this. I like your point about talking to your real estate agent and telling them what you want. We’ll be sure to rely on an agent to find us a home that meets our criteria. It seems useful to get prequalified. That way you’ll know how much house you can afford. My wife and I will use that tip since we just got married. My wife and I want to buy our first home together this year, so thanks for sharing this. I like your point about getting pre-qualified by a lender first. We’ll be sure to shop around and find a bank or lender that can do this for us. My wife and I want to buy a home together this summer, so thanks for sharing this. I like your point about visiting a lender so you can figure out your price range. We’ll be sure to do this soon so we can start looking at houses that are affordable. Well welcome to Abilene! Yes its a great tool in judging where to start looking! Contact us if you needed any help!! My wife and I are thinking about buying a home next year, so thanks for this info. I like your point about trusting an agent to find a home that matches your criteria. We’ll be sure to find a real estate agent that can keep us updated on new house listings with the features we want.